Larus cachinnans hybrid 4cy 8L9B 20 November 2012, Utrecht, the Netherlands. Picture: Herman Bouman. Ringed in Luthania. 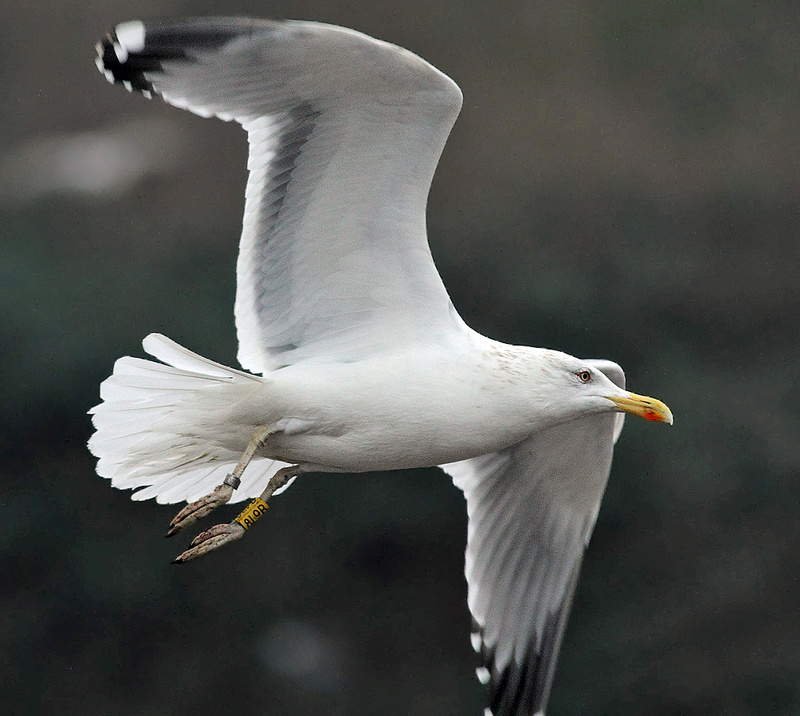 Rings used for cachinnans, Herring Gulls and hybrids. 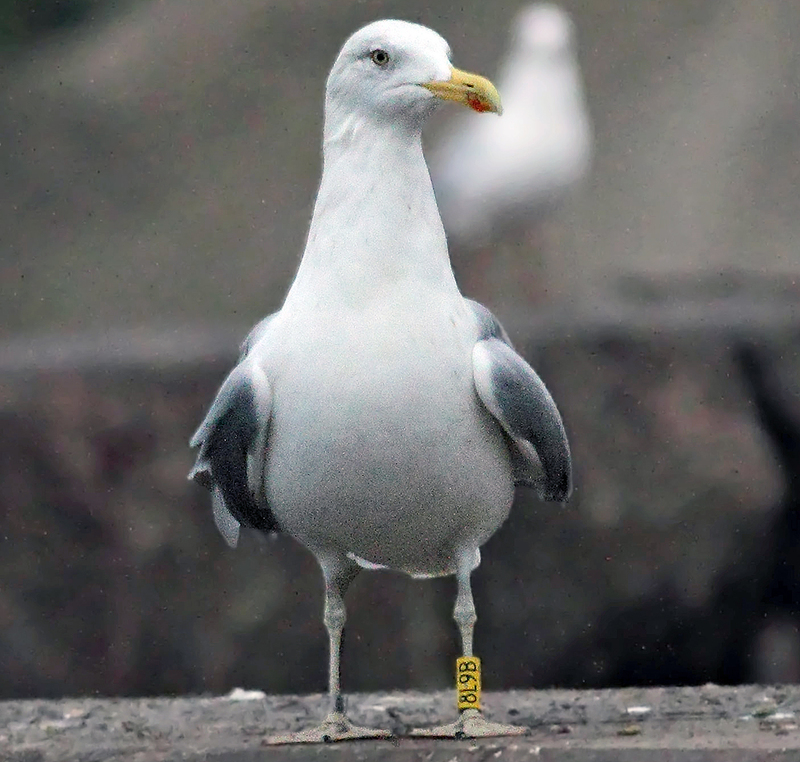 Data pending, probably yellow and metal Kaunas EN03331 (LIK), ringed as pullus on May 23 2009 at Kretuonas, Lithuania (55°14'45" N, 26°04'45" E). 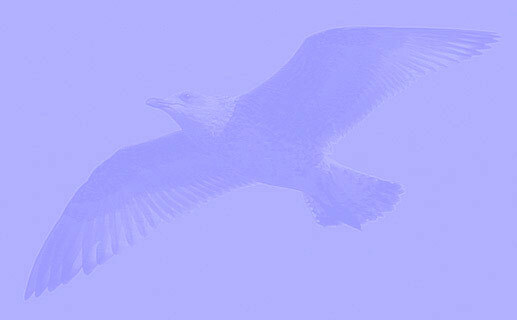 Bird from mixed colony "argentatus". 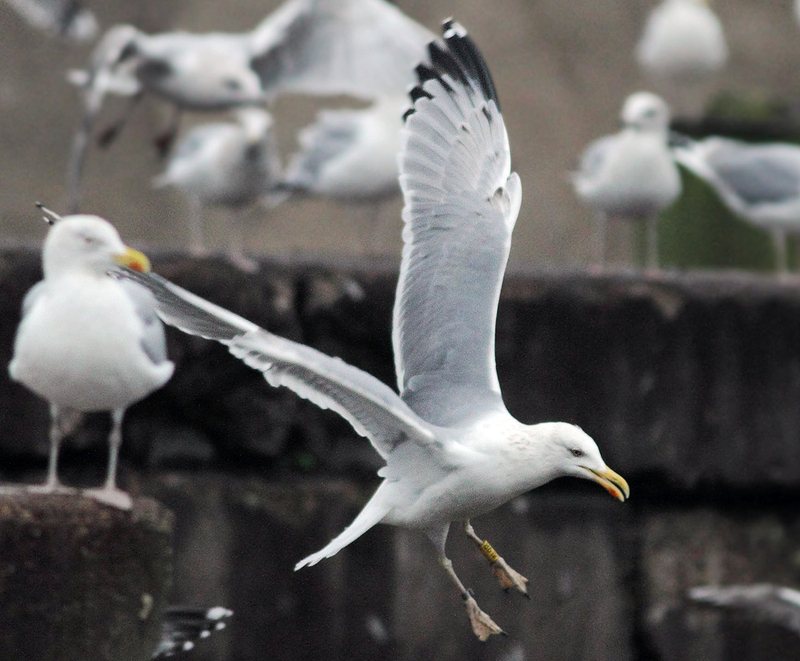 Head shape more or less okay for cachinnans, but P10 pattern completely wrong and much better fitting Herring Gull.